When James Dalglish read about the remarkable First World War memorial at the University of Roehampton in The Tablet, he was surprised to discover it commemorated not one but four of his great uncles. Mr Dalglish, a retired headteacher from Kew in west London, contacted relatives to let them know and this morning four members of his extended family joined him at the university on Tuesday morning for a brief service including a two-minute silence and the Last Post. "I remember my grandmother talking about how devastating the war had been for my grandfather's family, but seeing the memorial plaques for all four together gave me a stark glimpse of the tragic reality for one family." In addition to James’ great-uncle, Charles Dalglish, three other plaques on the memorial relate to his father's side of the family: half-brothers William and Philip Bellasis, and his grandfather's brother-in-law, Arthur Silvertop. During this morning’s service James’ cousin – another William Bellasis – read out a letter sent from the young William to his mother in 1914 shortly before he died. He was killed in East Africa aged 29. 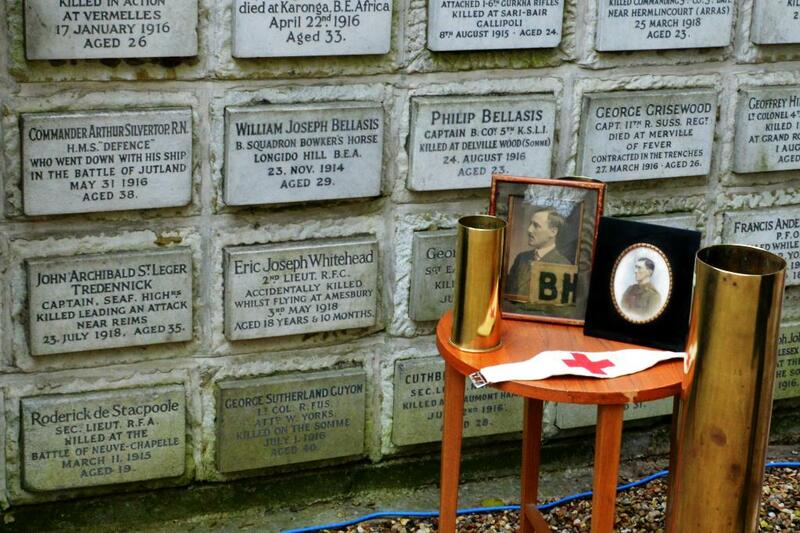 Philip Bellasis died two years later during the Battle of the Somme, aged 23. The memorial at the university is 11 metres long and described as “absolutely unique” by the Imperial War Museum; it consists of plaques commemorating 288 men and women who were relatives of the nuns and children attending the Society of the Sacred Heart Convent school, which was located on the Digby Stuart College campus of the university. A spokesman from Roehampton said: “The university has started a project this year to run for four years until 2018 to get in touch with as many of the families of people whose names are on the memorial as possible, so we’re glad to have had the Dalglish and Bellasis families at this year’s remembrance event, as well as a number of other family representatives from other parts of the country. Read the list of names here.